Ambers Beauty Studio, in Long Chaulden, Hemel Hempstead, is somewhere you can relax, feel at home and receive superb care in a sanctuary of calm and wellbeing. Our mission is to make you feel fantastic - we are not content with anything less! There is something to suit everyone at Ambers from the young to the young at heart. 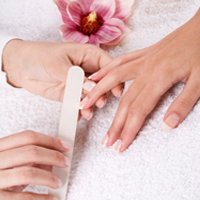 Our varied treatment menu offers a mix of traditional salon techniques along with high technology and provides you with the very best options for your individual needs. You can now book your treatment on-line or if you prefer please give us a call…you will be glad you did…after all ambers is a name you can trust. With these 3 little treatments! Extra special products for an extra special Mum! Great prices on the collections. We love the NEW Superfood products from Elemis - available at ambers NOW! 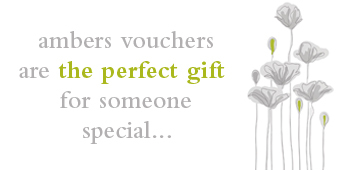 Gift Vouchers Ambers gift vouchers can be purchased for any treatment or any amount. Please visit us in the studio or purchase over the phone.